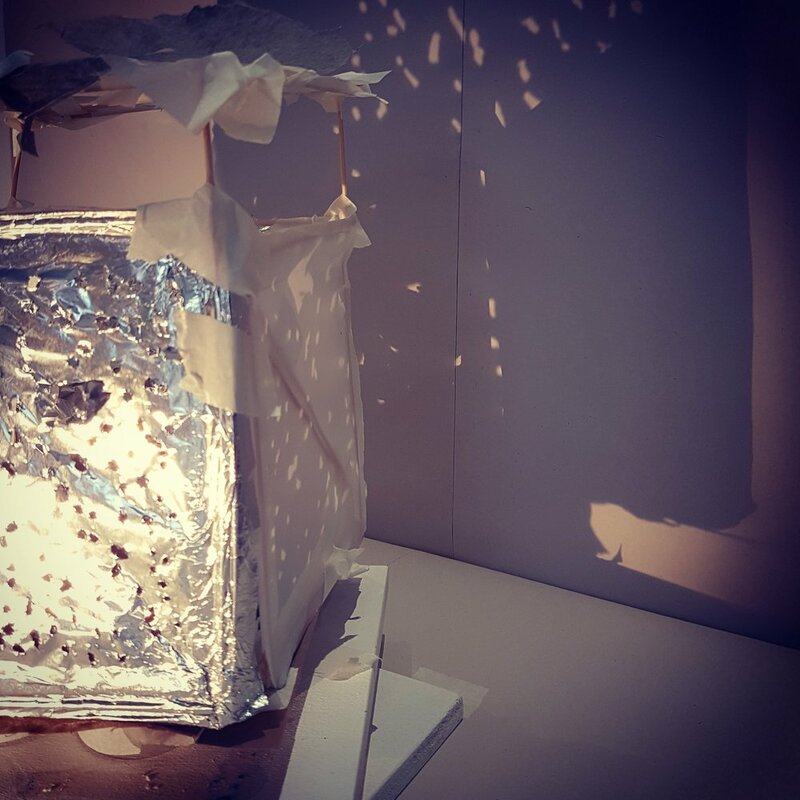 Over the course of the week we undertook a series of investigations and experiments, looking at how architects around the world react to the demands of the climate to design buildings that shelter us from the wind, sun and rain. 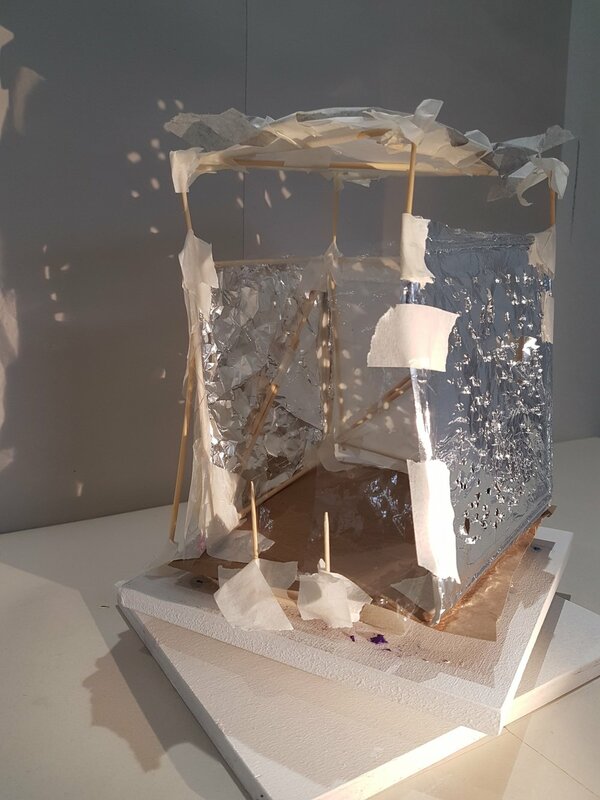 Through drawing, model making and materials testing we developed skills as architectural designers, putting these to the test on the last day by designing and making a shelter. Day 1: WIND! - How do structures stay standing in the wind? 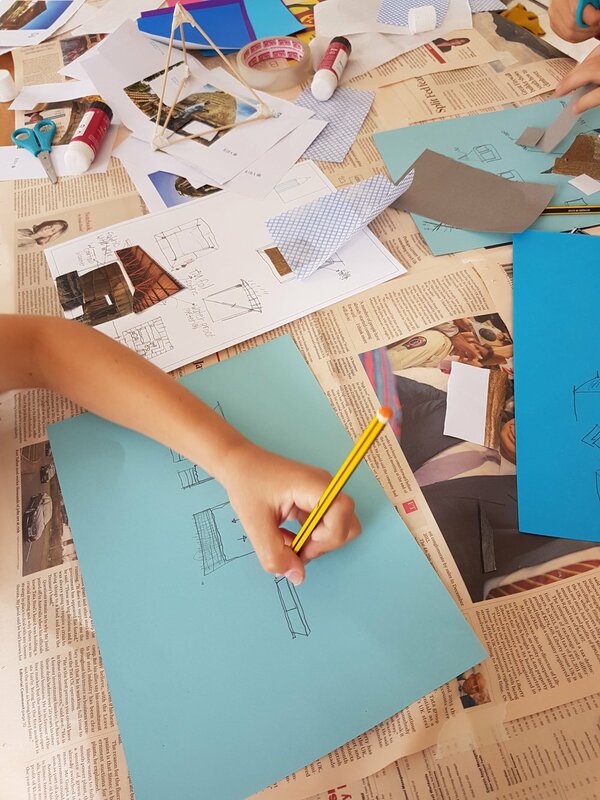 The week begins with an introduction to the workshop and an overview of what an architect does, and how you will become architectural designers over the next week. In the morning we will look at examples of buildings from around the world drawn from the RIBA archive of photographs, to investigate how different types of structural frame resist forces like the wind and gravity. Working in small groups you will build and test paper models that are strong enough to hold a small weight, before developing these in the afternoon into your own individual design. These paper structures will then be tested against an onslaught of fans and hairdryers to see which shapes best resist the wind to stay standing. Day 2: SUN! - How do buildings and materials shade us from the sun? Day 3: RAIN! - How we stay dry inside building when it rains? In the morning we will look at examples of different buildings from around the world and investigate how their occupants stay dry using different materials to shed water and resist damp. In groups we will test out different materials to see which will keep water out of a model house, exploring how materials can be jointed and overlapped. 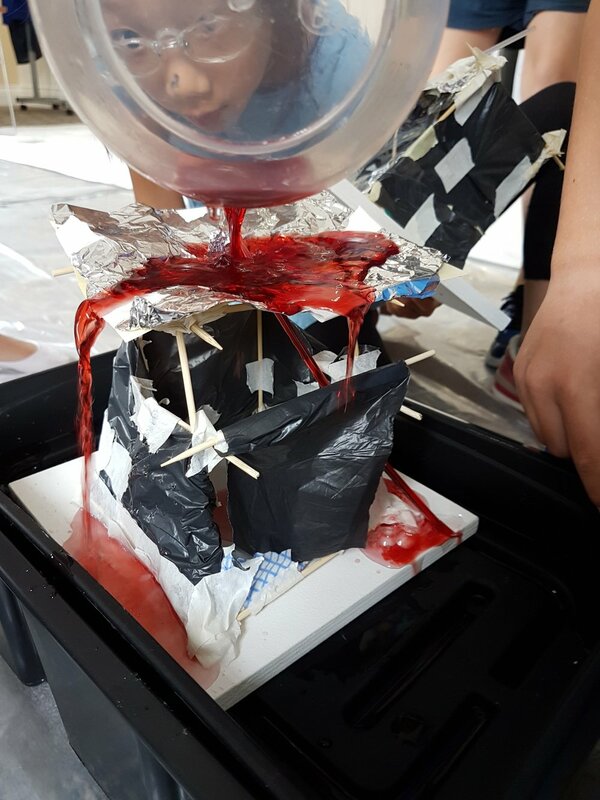 After lunch you will make your own choice from different materials to make a model building capable of keeping its occupants dry. At the end of the day we will test these models out in a model monsoon, to see which materials and methods work best to keep the insides dry. Day 4: BIG SHELTER DESIGN! - How do we draw and model a building before it’s constructed? This will be a day of preparation before Friday’s Big Shelter Build. 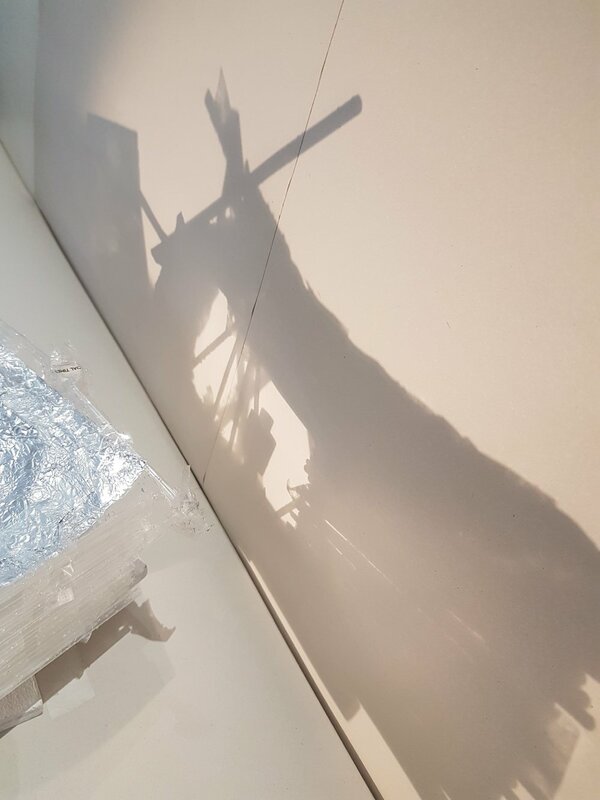 We will replay videos and photographs of the models built over the first three days, to see what we can learn from our experimentation with structures, form and materials. We will look at images from the RIBA’s exhibitions and archives to explore the ways that architects draw and model buildings to before construction. Using everything we have learnt we will then draw our own designs for a structure than can shelter us from wind, sun or rain. 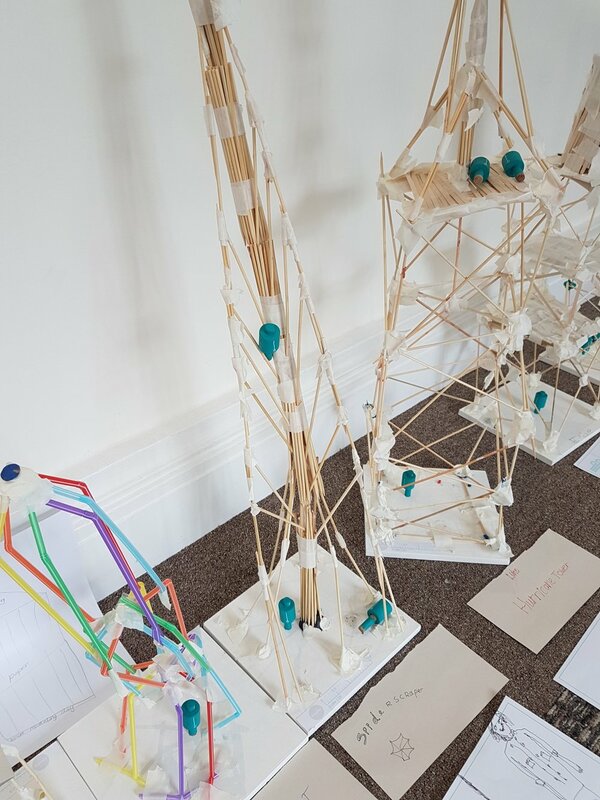 In the afternoon you will work in pairs to build a scale model of your final design, using the materials available on the Big Build day. At the end of the day we will document our designs and you can take home all of the models you have produced over the week. Day 5: BIG SHELTER BUILD! - A day outdoors building a shelter.